Tesla: Can the Model 3 survive the controversy? Can Tesla navigate through its many controversies and still meet its sales targets? We're about to find out. Early next week Tesla will report how many cars it made in the third quarter and how many it was actually able to deliver to customers. Three months ago, investors and Tesla fans waited to see if the company could hit its long-promised target of building 5,000 Model 3 cars in a week. It just made that goal, building 5,031 in the last week of June. Experts say the report on third quarter production is much more important to the company and its future. It'll show whether the production level at the end of the second quarter was a blip or sustainable. "The idea of having sustained production is so much more important than a production sprint during a week," said Jeremy Acevedo manager of industry analysis at Edmunds. "The difference between 5,000 a week and 20,000 a month is huge." And even more importantly it'll show whether Tesla (TSLA) is on track to meet CEO Elon Musk's promises that the company would be profitable in the third and fourth quarters. The company had only two marginally profitable quarters in its history as a public company, and posted its largest loss ever in the second quarter as it rushed to ramp up production. The losses, and more than $1 billion in debt that will be come due at Tesla by next spring, are why some experts are raising the possibility of a cash crunch at Tesla that could force it to sell more shares to raise cash. That could be more difficult as the stock loses value and Musk faces a federal lawsuit for misleading investors. Musk has insisted that the company will not need to raise cash because it will generate more revenue with increased production. But he also has admitted that the company is having trouble delivering all the cars it is building. "Sorry, we've gone from production hell to delivery logistics hell," Musk tweeted two weeks ago, though he promised, "We're making rapid progress. Should be solved shortly." Sorry, we've gone from production hell to delivery logistics hell, but this problem is far more tractable. We're making rapid progress. Should be solved shortly. Needless to say, its customers who are waiting for their Teslas aren't paying for their long-anticipated cars until they actually get delivered. So the logistics problems could be its own red flag for the company revenue. "The delivery scramble and chaos they're going through right now, it's disconcerting," said Rebecca Lindland, analyst with Cox Automotive. She said that while some fans of Tesla might want to focus on whatever production number is reported, it's important to look at both production and deliveries. Tesla's most consequential report in its history has been overshadowed with controversy. In August Musk announced via tweet that he was planning to take the company private at a price of $420 a share, and that he had "funding secured" to do so. Although he had some investors expressing interest in financing such a deal, there was nothing secured, according to the SEC. He dropped plans to go private by the end of the month. But by then he had already been sued by shareholders who charged that the tweet was a deceptive effort to manipulate the stock price. 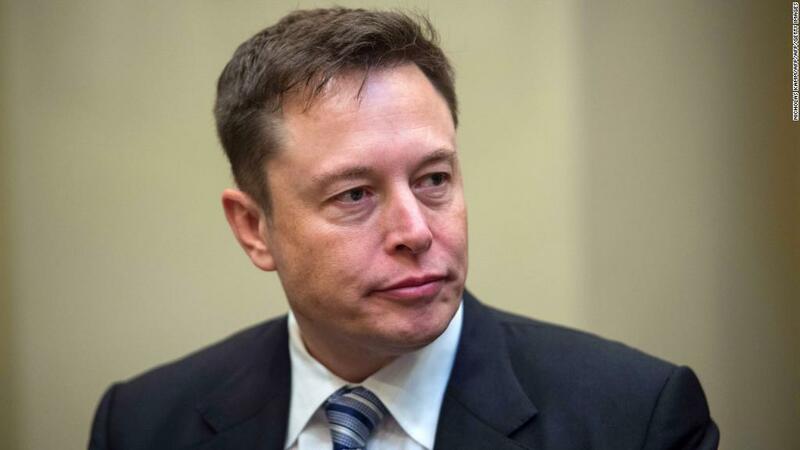 And Thursday the Securities and Exchange Commission filed a suit against Musk, seeking to have him removed as an officer at Tesla or any other public company. Add in stories about Musk not getting any sleep and smoking pot during a podcast, and his other company SpaceX selling a trip to the moon for a billionaire tourist on his other company SpaceX, and its easy to forget that a good measure of success is actually how many cars you can build and sell.